I take this along with nattokinase on the recommendation of Dr. David Williams for heart health. 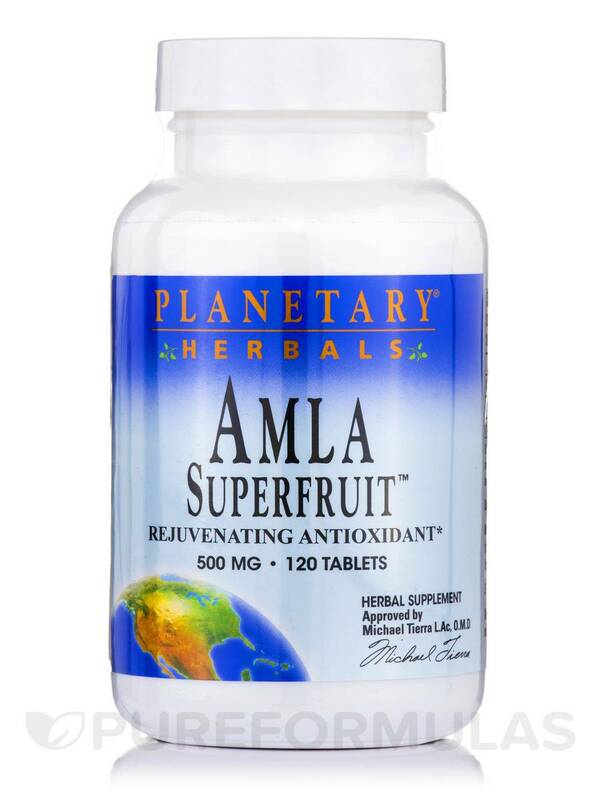 Amla Superfruit™ Tablets from Planetary Herbals may be useful in regulating and improving the functioning of your digestive system. This tart berry contains many helpful properties and is available to you in the form of a supplement from Planetary Herbals. We all know that a healthy digestive system is the key to maintaining overall health. Amla Superfruit™ Tablets from Planetary Herbals could help maintain and improve the health of the digestive tract‚ hence helping you feel energetic and vibrant everyday. 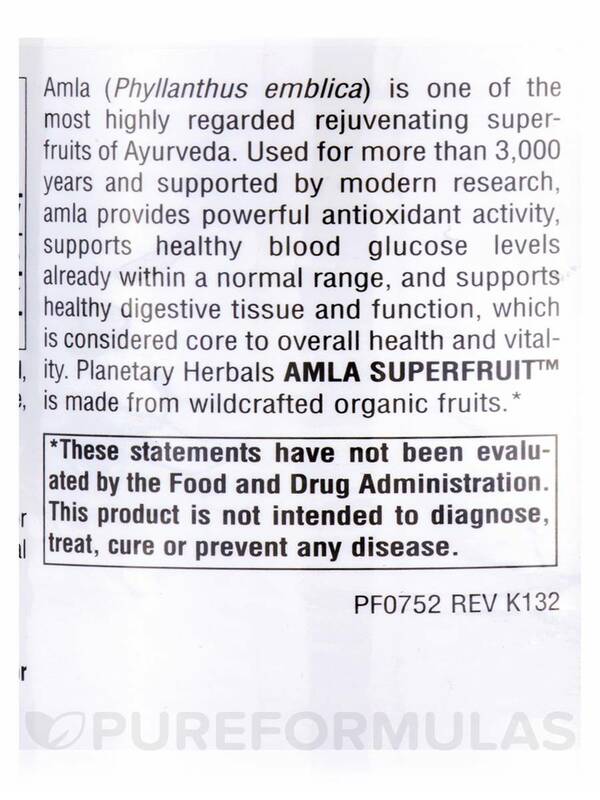 Even though the entire amla plant has beneficial value‚ it is the fruit that finds its way into supplements. The fruit is known to have antioxidant properties that could help your healthy cells fight the unstable free radicals. 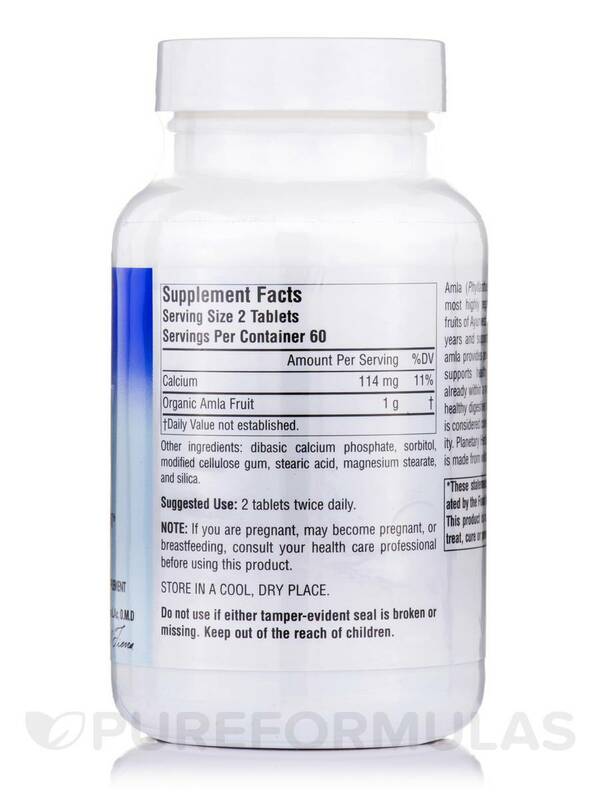 Free radicals are molecules that latch on to healthy cells and cause oxidative damage. Studies have shown that amla extract like the one present in the supplement from Planetary Herbals could also help you maintain healthy blood glucose levels that are within a healthy range. 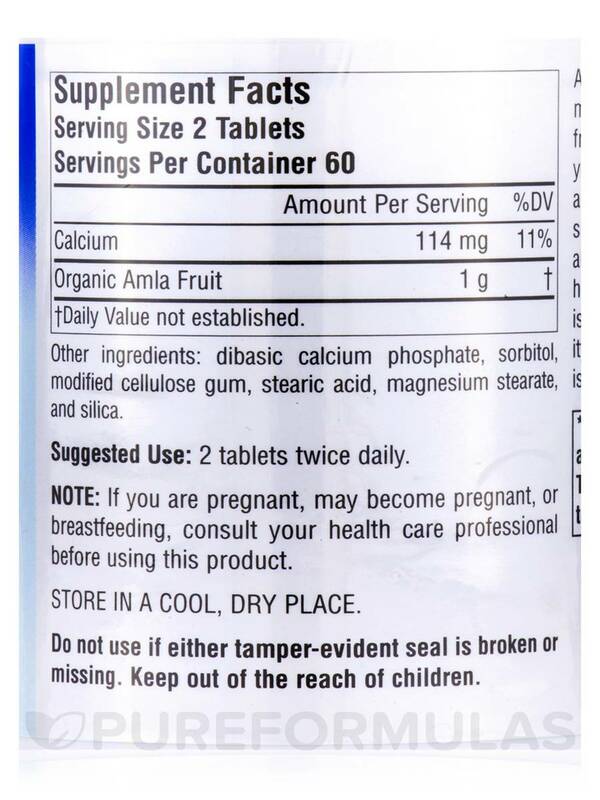 This supplement contains calcium‚ which is necessary for maintaining good bones‚ hair‚ and nails. 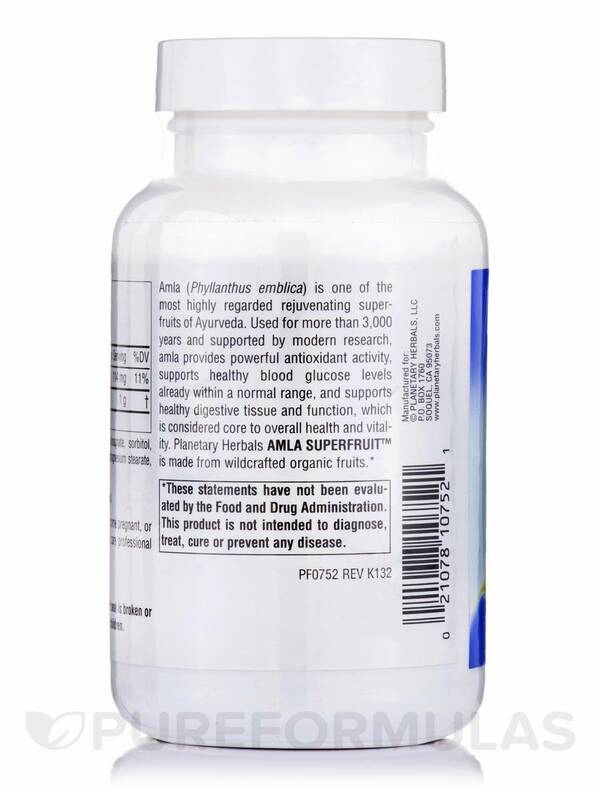 Amla Superfruit™ Tablets from Planetary Herbals might also provide your body with vitamin C‚ which is essential for maintaining good immune health. I've heard of good results with Amla Superfruit, turmeric and aloe vera for people with HPV.